The Natural Futures survey team visited the beautiful wet meadows at Buckmoor Farm with the kind permission of the Marsh family who own and manage the site. This site consists of a mosaic of classic Blackdown Hills habitat - unimproved meadows with areas where springs naturally rise, and alder carr woodland. These habitats can be exceptionally species-rich, as is the case at this site. 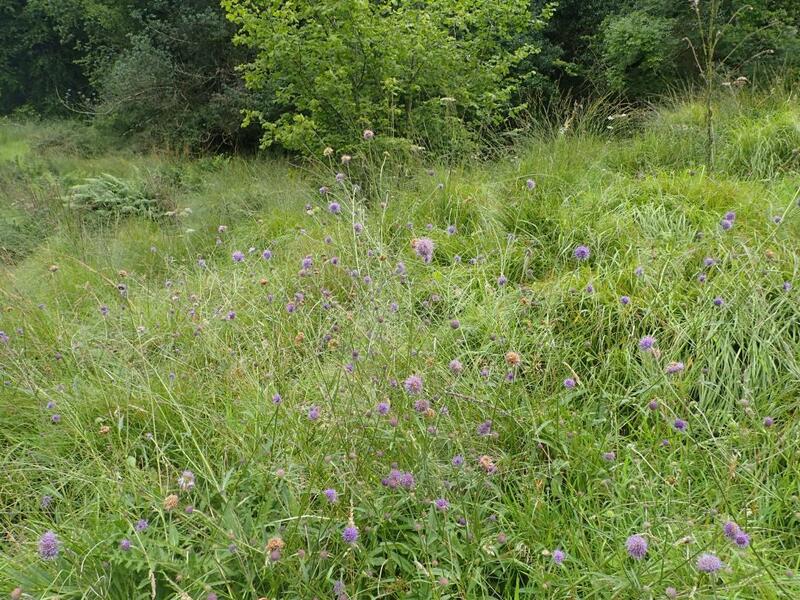 The natural springs in the meadows in particular supported a lovely community of plants, producing a riot of pink and purple flowers throughout the season. 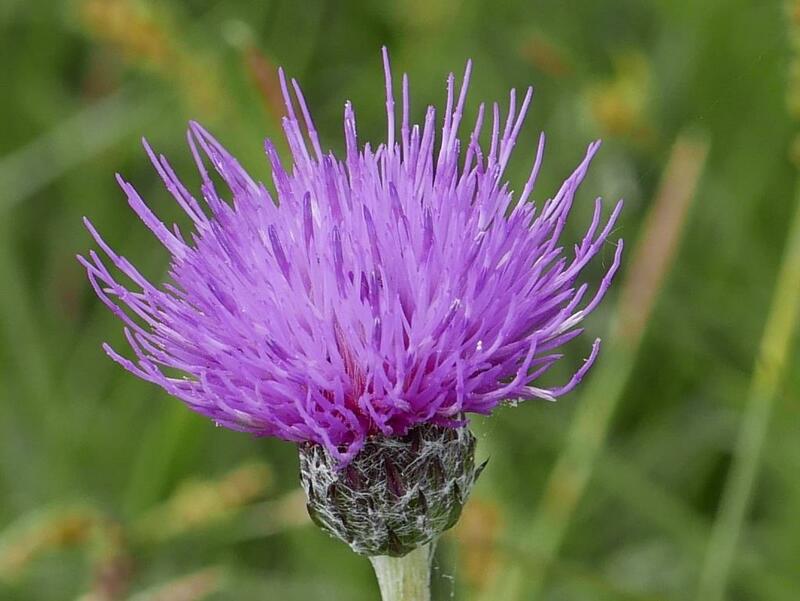 This included the graceful meadow thistle, a rare thistle which is almost spineless, and which is paricularly attractive to butteflies. 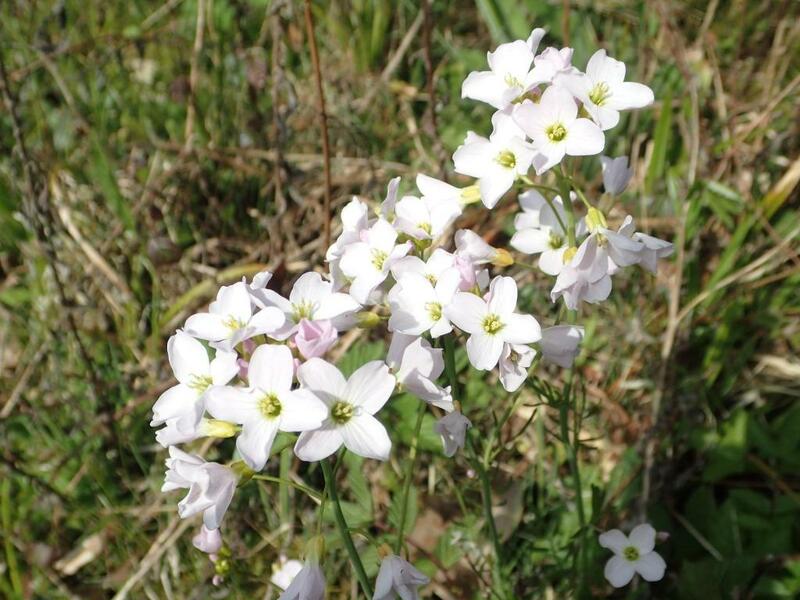 Also recorded was abundant cuckflower, or lady's-smock, one of the first wildflowers to bloom in the spring, and the foodplant for the orange-tip butterfly caterpillar. In the wettest areas, mats of bog pimpernel crept across the turf, this is a plant with a strong association with the Blackdowns, which produces the most stunning delicately veined pink flowers late in the season. 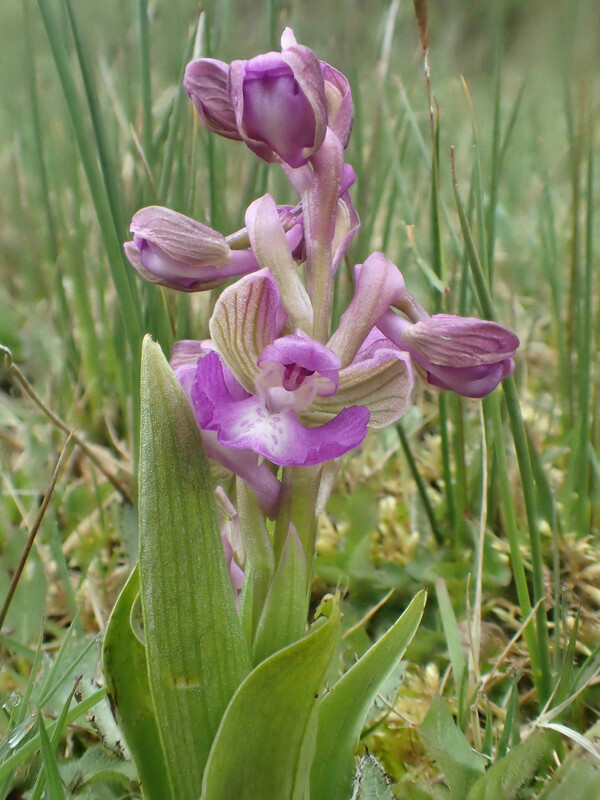 Perhaps the most exciting find at this site was a new record of a rare orchid - the green-winged orchid. This exceptionally beautiful plant is common nowhere in the country, and has declined in numbers dramatically over recent decades as a result of agricultural intensification. Sympatheic management of special sites like Buckmoor Farm is particularly crucial to plants like this, which require a long term lack of disturbance, and once lost, are very unlikely to return. Please note this site is privately owned and is not openly accessible to the public.